Distinguishing Characteristics: White male. Short dark hair; hazel eyes. Medium build. Fair complexion. He was often mistaken for a Canadian with his accent. Circumstances - Irish national Gerard Mooney was last in contact with family in 1996. He was holidaying in Australia from Ireland and was staying in the Marrickville area of Sydney. There are grave concerns for his safety and welfare. Mooney, of Marrickville in Sydney's inner west, was last seen on May 14 when he paid his rent at a local real estate agent. His bank accounts had not been touched and a police search of his Marrickville unit found all his personal belongings intact, including his Passport. His bike was discovered in a lane way near his unit on May 18, four day's after he was last seen. He was a cyclist and often rode to work, at a printers in Banksmeadow, authorities are trying to determine how his bike ended up in the lane way. Mooney migrated to Australia from Ireland eight years ago and settled in Marrickville two years ago after moving from Melbourne. Gerard was last in contact with family in 1996. "Gerard was a keen cyclist and his bike was found in a lane in Marrickville near his home, 4 days after he went missing." 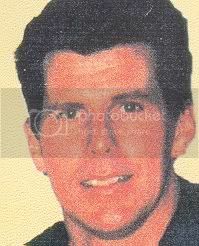 If you know anything about the disappearance of Gerard Mooney please call Crimestoppers on 1800 333 000.